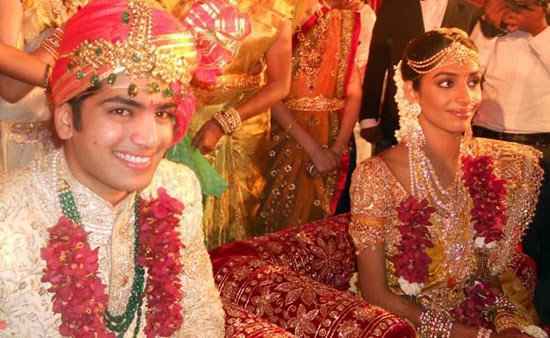 In 2011, Gaurav Assomull, the CEO of Marigold Group, and Kajal Fabiani's wedding was held in Monaco. Luxurious hotels were selected all over the place. The sangeet had a performance by Sukhbir whereas the guests at the wedding were treated to a four course dinner and a hip hop concert by Akon. The marriage of American hotelier and former actor, Vikram Chatwal and model and investment banker Priya was a luxurious soiree. The Chatwal family arranged for private jets to pick up their guests from different corners of the world. Naomi Campbell, King Khan, Lakshmi Mittal, Prince Nicolas of Greece and the son of the late Shah of Iran also attended the event. 50,000 kilos of flowers and 3000 candles went into the decoration of the wedding venue. 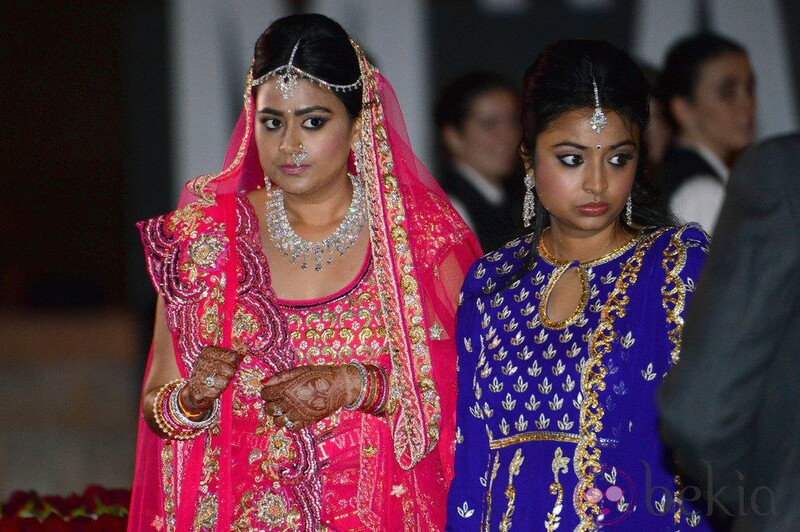 This wedding was no less than a Bollywood extravaganza. Real jasmines were used to make chandeliers for the wedding of GVK Group's GV Krishna Reddy's granddaughter Mallika Reddy . Amitabh Bachchan attended the wedding and it is said that it had the most exquisite designer wear under one roof. 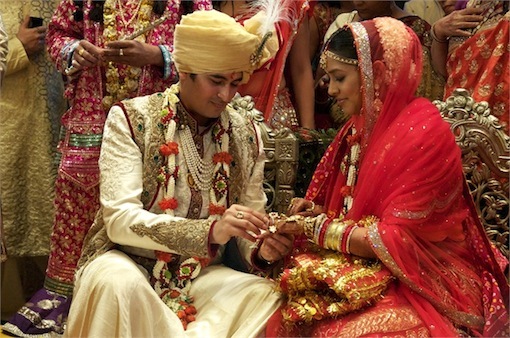 There was a huge buzz around the wedding all over Twitter and India. 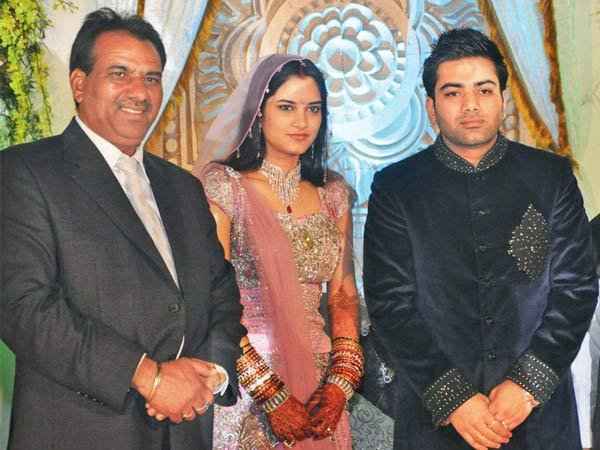 Real estate developer Basant Bansal's daughter Payal Bansal had an extravagant wedding in Turkey. The evening became an extravaganza with the performances of Bollywood celebs like Celina Jaitley and Eesha Koppikhar. 30 cooks and 130 assistants were flown to Turkey to greet the guests with authentic Indian cuisine. Indian decorators were also taken all the way to Turkey to decorate the venue with flowers. 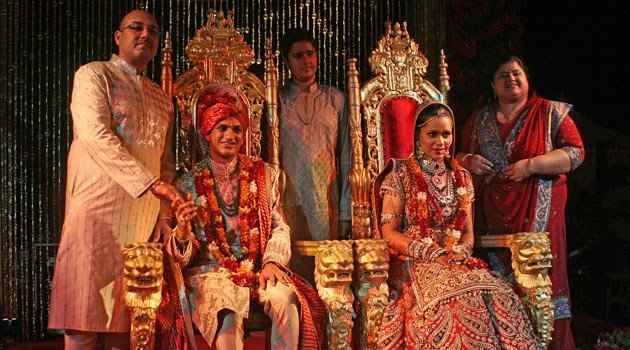 UK-based billionaire, Pramod Agarwal chose the 17 acres of San Clemente Island for his daughter's wedding. It was an extravagant affair with the major highlight being Shakira's performance at the wedding. 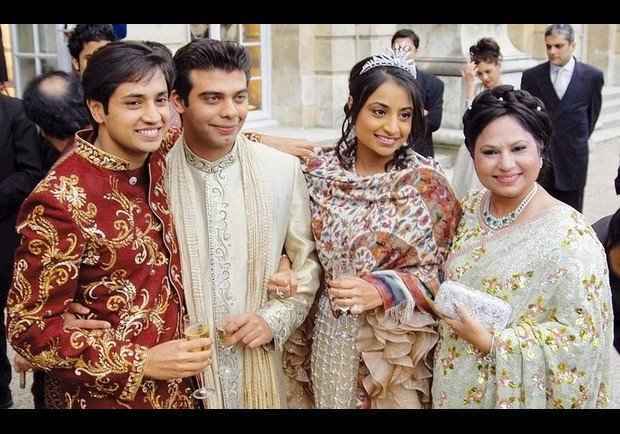 Lakshmi Mittal's daughter, Vanisha got married to Amit Bhatia in 2004 in Versailles. The wedding was held at the Palace of Versailles and it is the only private function ever to have been held there. Shah Rukh Khan, Kylie Minogue, Aishwarya Rai Bachchan, Akshay Kumar, Juhi Chawla, Saif Ali Khan and Rani Mukherjee performed at the wedding and the dance sequences were choreographed by Farah Khan. Lakshmi Mittal's niece, Shrishti Mittal's wedding took place in Barcelona at the National Museum of Catalan Art atop a hill. Over 200 chefs, butlers and assistants were flown in from India and Thailand. The wedding cake was a six-tier construction weighing 60 kilos. Too much for a wedding, eh?